Did you know that the average Briton spends 13 hours a week cooking? This may sound like a long time but with a bespoke kitchen, it could feel like no time at all! As one of the leading kitchen fitters in Stafford, we believe that once you have a kitchen which is truly unique to you, cooking and serving delicious meals can really be rewarding and enjoyable! 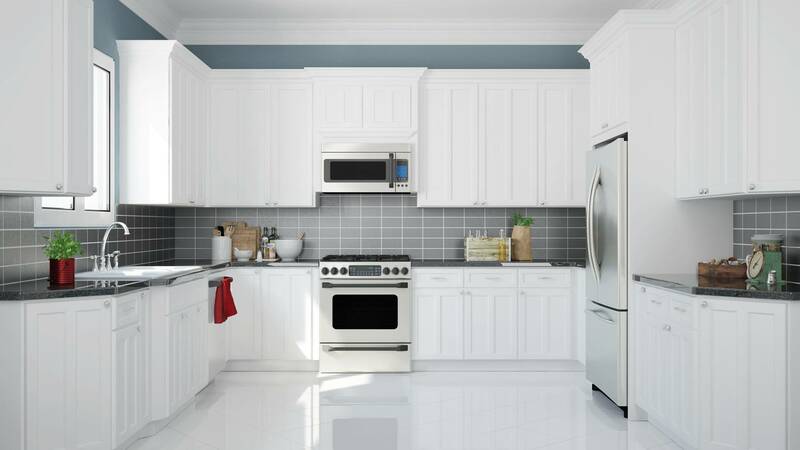 With a long-standing reputation for delivering an excellent level of workmanship, we can help you to transform your kitchen in no time at all. At Ian’s Property Maintenance, we understand that kitchens have become much more than just a place to cook; they have been transformed into a hub for the modern household, bringing families and friends together all year round. Whether you are entertaining guests or spending time with the family after work or school, your kitchen should be warm and welcoming whilst also being tailored to your needs. With one of our quality, custom-made kitchens, we can provide you with all the space and clever storage solutions that you could possibly need whilst also adding a dash of style and personality to the room. We’ve built our reputation for being one of the leading kitchen fitters in Stafford by listening to what our customers want and by offering them a bespoke service. Working with you, our team of fantastic designers can help you to create your dream kitchen, whether this is something modern and sleek or something truly traditional and homey. With Ian’s Property Maintenance we understand that investing in a new kitchen is about more than just the choice of worktops or cabinet design, it’s about creating a space that accurately reflects your personality and lifestyle. So, whatever your style, budget or space, our kitchen fitters in Stafford guarantee to have the perfect solution for you! Should you choose our kitchen fitters in Stafford to transform your home, we can offer you a full service that covers the design process. We’ll provide you with accurate sketches and once you are happy with the design, we’ll then work on bringing it to life. For more information about our services or to request a quotation, please speak to one of our team today!